Who needs batteries these days? This travel clock needs no batteries or electricity because you can just wind it right up! 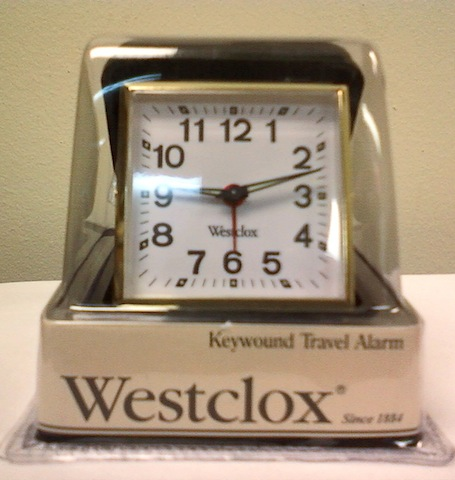 Comes in a foldable travel case and features luminous clock hands and hour markers.